In EZ Acoustics only use high quality adhesive so you can put your EZ Fasteners directly on the acoustic material and wall surface. Our EZ Fasteners comes with a high strength PSA (pressure sensitive adhesive) backing for quick and easy installations. 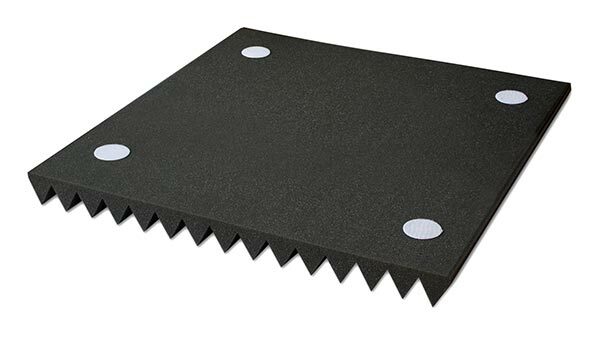 This mounting solution is designed so you can have your temporary acoustic treatment in any room. All EZ Fasteners purchases includes both sides, hook and loop.